Final Fantasy XIII, also known as the game that may never come out, might be seeing yet another setback in its release schedule, thanks to the delay of Square-Enix's other gigantic franchise game, Dragon Quest IX. Dragon Quest IX, which was originally slated for a March release in Japan, has been pushed back to July due to a number of problematic bugs. Who cares about stodgy old Dragon Quest, you say? As long as I have Final Fantasy XIII I could care less, you say? Well, the DQ delay may affect the release of FFXIII, according to Square-Enix president Yoichi Wada. "The next term's schedule has been fixed yet," Wada explained. "Presently, I cannot say what kind of effect we will experience from moving the Dragon Quest IX launch from March to July. I cannot say there won't be an effect." Regarding what it might do to change Final Fantasy XIII specifically, Wada said that "there is a possibility that Dragon Quest IX delay could effect Final Fantasy XIII." It's nice to know that Square is adapting the "it's done when it's done" philosophy for DQ here, but it's starting to feel like neither of these games are ever going to come out. Square previously revealed that the game would be due in Japan by the end of 2009, but wouldn't be in stores overseas until April 2010 at the earliest. That's due to the need to port the game over to the 360 for international markets, a process which for some reason Square doesn't want to begin until after all localization work on the PS3 version has finished. 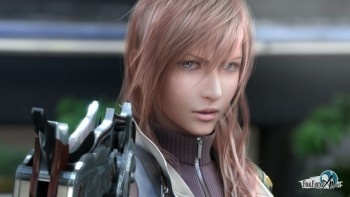 Now that the possibility of yet another delay exists, not even Japan may see FFXIII until 2010. Which would leave the overseas edition probably coming out whenever Duke Nukem Forever does. It's okay to cry, Final Fantasy fans. Cloud would.